A chocolate lover's dream! Rich chocolate sponge cake covered with a combination of milk, dark and white chocolate buttercream. 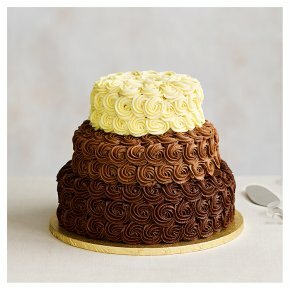 This indulgent 3 tier cake is decorated with a layer of chocolate fudge icing and finished with hand piped buttercream roses.